MonsterInsights lets you collect data from any digital device, so you can get the whole picture on everyone using your site. Is your analytics data accurate, or could your numbers be inflated when a user switches devices? Today more than ever, people are likely to be using multiple devices to access your site. Visitors may look you up on their phone or tablet at first, and then switch to a laptop or desktop computer to get more information or sign in to their accounts. Many sites still use outdated tracking libraries to send data to Google Analytics. These outdated methods track each session as a separate person. That kind of inaccurate tracking gives you inflated traffic stats. It also makes it difficult to understand your customers’ behavior, since their sessions before and after signing in are kept separate. MonsterInsights uses smart Universal Tracking to detect these users and count them as the same person, no matter what device they’re using. 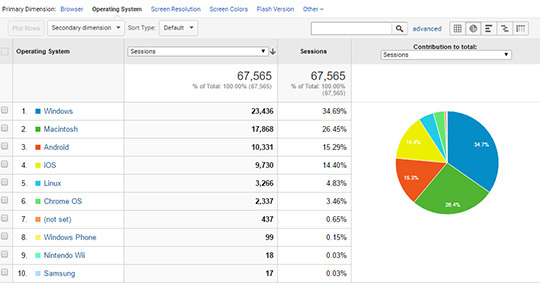 Now you can get a more accurate traffic count, and analyze the signed-in user experience. MonsterInsights gives you not just data, but a clear understanding of how people are using your website. You need analytics that are real and accurate. Get started with MonsterInsights today! Improve compliance with GDPR and other privacy regulations. Enable tracking of your form views, submissions, and conversions rates. Sales tracking for your WooCommerce or Easy Digital Downloads stores.